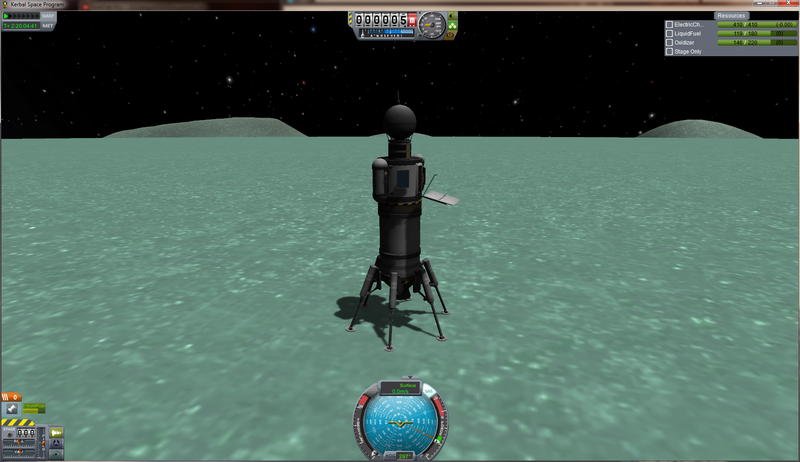 When did Kerbal Space Program become so insanely fun? Happy new year, everyone! I'll get caught up tomorrow: junk drawer, fit of the week, and I want to kick around the idea of alts in EVE for a post or two. Oh, I played it briefly a few versions ago and thought the promise was excellent. A lot of that promise has been fulfilled now, though! I think it was around 0.18 for many people though 0.22/0.23 increased the value for me. FYI, It became insanely fun when they added other things to land on, and you first worked out how to do proper orbits. 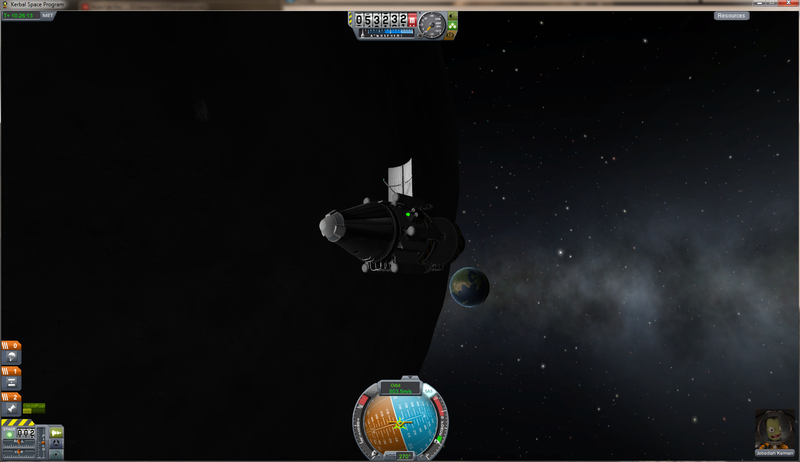 That probe on the second picture is such overkill, should easily be able to make Eve or Duna orbit. And so it more than likely shall, yes. I'm doing a LOT of standardized parts and builds. I've done 70-odd missions now and 50+ of them were launched from the same first/second stage which I've tweaked and tweaked so it's ultra-efficient and -reliable. Way ahead of you. I found his rendezvous and docking video the best, most concise tutorial on that topic. Very nice indeed! I'm still going through his other stuff.